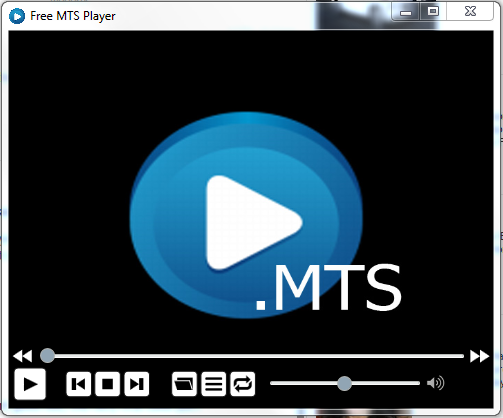 MTS or the MPEG Transport Stream is a high definition video format which requires a specific player to play the MTS files. The free MTS file player is basically designed to open MTS files on Windows 7, Vista and XP without the need to install MTS codec packs. This powerful free tool offers the users the option to export files into various other formats which include both video and audio formats. The MTS player is a light software program that can be utilized to play MTS files with ease. It includes a simple user interface which is easy to comprehend and install. The program features multilingual options which include Chinese, French and Japanese, English, Spanish and so forth. It is a fast and efficient file format without any codecs. This player also supports various media, audio and video file formats. The program also supports batch conversion process which simplifies the task of converting many files simultaneously. The free MTS player has advanced settings for resolution and bitrate. This program is an extremely light weight media player with simple features and options. It is quite easy to use and performs effectively. The free MTS player allows the users to utilize additional features for playing media files quite easily. The users can also create customized playlist without the use of MTS codec packs. This media player utilizes less system resources and allows the video media players to run efficiently and smoothly. Moreover, it is a free tool that can be used effectively to open and play MTS files easily and quickly. The program also allows the users to export the MTS files into other formats effectively. This professional media player tool is simple, easy-to-use and light in weight. It has a simple interface which can be used by beginners and professionals alike.